With the aim to improve control on environmental emissions and sound pollution as key factors to combat climate change and to prevent the impact in citizens health, Libelium launches new sensors according to the last legislation requirements including worldwide certifications. 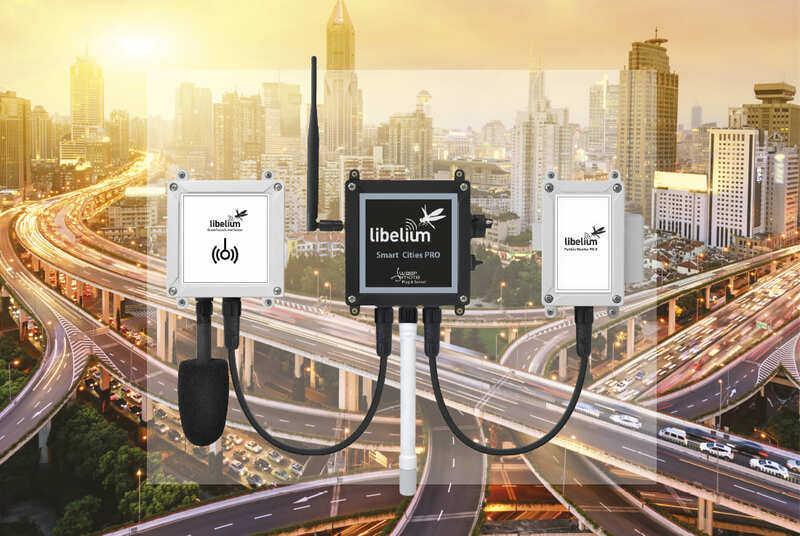 Today, at the Smart City Expo, Libelium presents the new generation of the IoT Sensor Plaform for Smart Cities with more accurate sound level and air quality sensors. These sensors address current market demands of higher precision in measurements and are aimed to complete the pricey equipments like professional sonometers and weather stations to increase city capillarity on these services. Traffic noise and air pollution together represent the two most important environmental risk factors in urbanized societies. The European Society of Cardiology has evidenced in a recent study the existence of an association between these risk factors with cardiovascular and metabolic disease. Increased awareness of the societal burden posed by these novel risk factors is intensifying the efforts required for effective legislation to reduce air pollution and noise. “Up to 3.7 million people die per year in the world prematurely due to exposure to pollution in cities. Besides, the UN Climate Change Conference COP22, celebrated in Marrakech these days, is agreeing to implement climate finance to reduce gas emissions levels that impact in the worldwide temperature, estimated to grow 5,1 degrees by year 2100. Developed countries have a commitment to invest $100 billion per year by 2020 and the smart cities market needs accurate technology to comply with legislation”, reasons Alicia Asín, Libelium’s CEO. In this emerging scenario, Libelium has improved its sensors design according to regulations of noise and environmental control. A new set of factory-calibrated gas sensors allows to calculate the AQI (Air Quality Index) following the international worldwide directives measuring CO, NO, NO2, SO2 and dust / particle matter (PM1 / PM2.5 / PM10). This new generation of gas sensors offers extra accuracy detecting variations as small as 0.1 ppm in many cases. The new sound level sensor can be placed outdoors as it includes a waterproof microphone. It has been designed following the specifications of the IEC 61672 standard for sonometers with an accuracy of +/-0.5dBA. The value given by the sensor is the Leq (Equivalent Continuous Sound Level), a magnitude used in regulations of noise control at workplaces and outdoors and perfect for the creation of sound level maps. “The accuracy of these sensors together with the fact of being wireless communicated –via 4G, WiFi, LoRaWAN, Sigfox, 802.15.4 / ZigBee or 868 / 900 radios– with any Cloud platform in real time make them the perfect complement to extend the capillarity of these services in Smart Cities” concludes David Gascón, Libelium CTO. Libelium Plug&Sense! Smart Cities is the first IoT platform to be fully certified with CE (Europe), FCC (US), IC (Canada), ANATEL (Brazil), RCM (Australia), PTCRB (US) and AT&T (US). Buy our Smart Cities Kits at The IoT Marketplace!